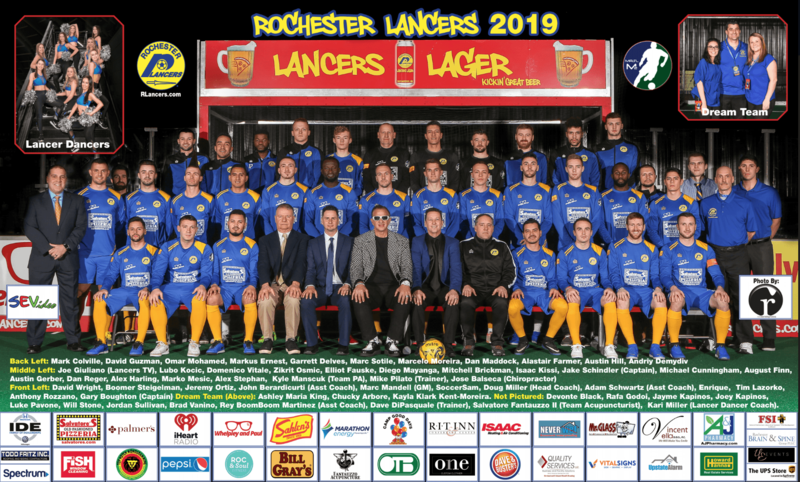 The focus became outdoor Lancers with our United Women’s Soccer Ladies team and men’s National Premier Soccer League side. An old friend, “Awesome Al” Schneider contacted me about moving the outdoor Lancers to a new site. A return to Rhinos stadium was in jeopardy with ownership and City of Rochester concerns. Al set up a meeting with Dr. Joseph Carbone, a Monroe County Legislator. Awesome Al and I shared with Dr. Joe our need for outdoor stadium use in 2019. Dr. Joe asked about the indoor Lancers. I told him about all the issues at the current three indoor Arenas in Rochester, and that I gave up my indoor dream. Dr. Joe said he would call Frank Imburgia, one of the Dome Arena owners. Doug Miller [Lancers head coach] and I had previously met with the Dome management a few years back with no luck. Dr. Joe set up a meeting with Frank — that very same night–and the deal was done. The indoor Lancers would return, and play at the IDE Family Field at the new Dome Arena! Late that same night, I called Kevin Milliken, the founder of the Major Arena Soccer League and the new M2 indoor/arena soccer league. After years of potential venues and potential indoor Lancers returns, I assured Kevin that we have a venue whose owners just invested $10 million in improvements. With 2,500 maximum seating at the Dome, M2 was our future and we were back! Our next big hurdle was getting new turf and that seemed impossible with such a short timeline. I contacted the new operators of the BCA about our old Lancers turf without much luck. I decided to reach out to Rochester Mayor Lovely Warren. Within a few days, we met and she made it possible for us to retrieve our old Lancers turf. Next, we had to figure out how to re-create a sports arena at the current Dome Arena. Doug handled the boards and temporary set-up with the help of Chris Cammilleri at the Dome and Chucky Arbore from Team Salvatore’s. We set up our test field in Minett Hall next to the Dome Arena. Within days, the turf, boards and goals were set. We scheduled a few practices to make sure it all worked … and it did! My “Dream Team” of two took care of everything else. Ashley Maria King, who helped us launch our outdoor teams alone in 2017, took charge of the legal, layout and graphic design, sponsorship and production for our new home. 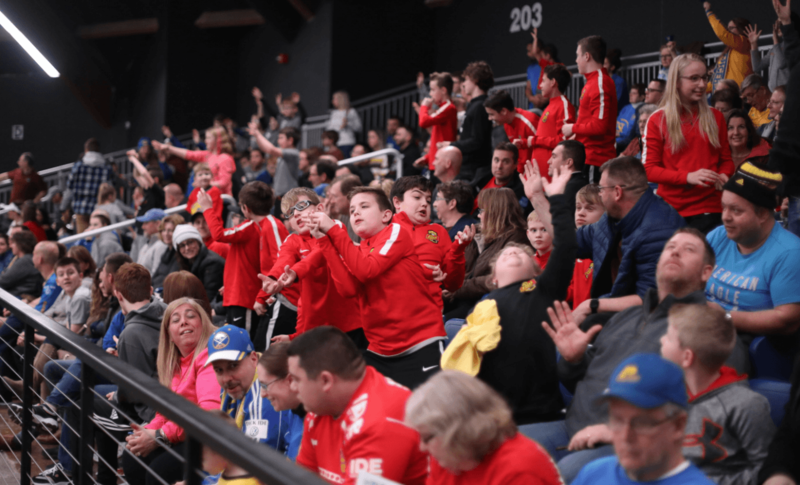 Kayla Klark Kent-Moreira started working on merchandise, sponsorship, our website updates, groups tickets, season ticket holders and worked closely with Nolan’s Party Rental to bring in arena-type seating to sell around the boards. These two amazing young ladies did and do the work of at least 10 people. My “Dream Team” helped make my dream and our return possible. Doug felt confident we could compete with our current NPSL players that he and general manager Marc Mandell had signed the past few years. After the announcement key former star indoor players reached out and offered to help. “Earthquake” Jake Schindler, our outdoor captain and star player, was the first to contact us. Gary Boughton, “The Pride and Joy of Buffalo,” followed. Goalkeepers Marcelo Moreira and Marc Sotile wanted to be part of their hometown team. Outdoor local Lancers Anthony “Red Mamba” Rozzano, Michael Cunningham, Alex Harling, Rafa Godoi, Austin Gerber, David Wright, Andriy Demydiv, August Finn, Garrett Delves, Mitchell Brickman, “Zman” Zikrit Osmic and others were excited to learn the indoor/arena game from Doug and his coaching staff of Adam Schwartz, John Berardicurti and Rey “Boom Boom” Martinez. After the announcement, my phone blew up from former Lancers Legends that offered to come and help us re-launch this baby. Jeremy Ortiz offered to drive in and wanted Doug to check out his friends Boomer Steigelman and Tim Lazorko. My favorite book “Saving Soccer” says to always trust in the players and Doug trusted in Jeremy. “The Mohican Warrior” Elliot Fauske offered to help in any way possible and convinced Enrique Hidalgo to contact Doug. Lubo Kocic offered to fly in from Texas to be part of his Lancers family. Mandell discovered Diego Baluarte. Domenico Vitale wasn’t signed by Utica City FC, and Doug welcomed the former Syracuse Silver Knights star to join us. 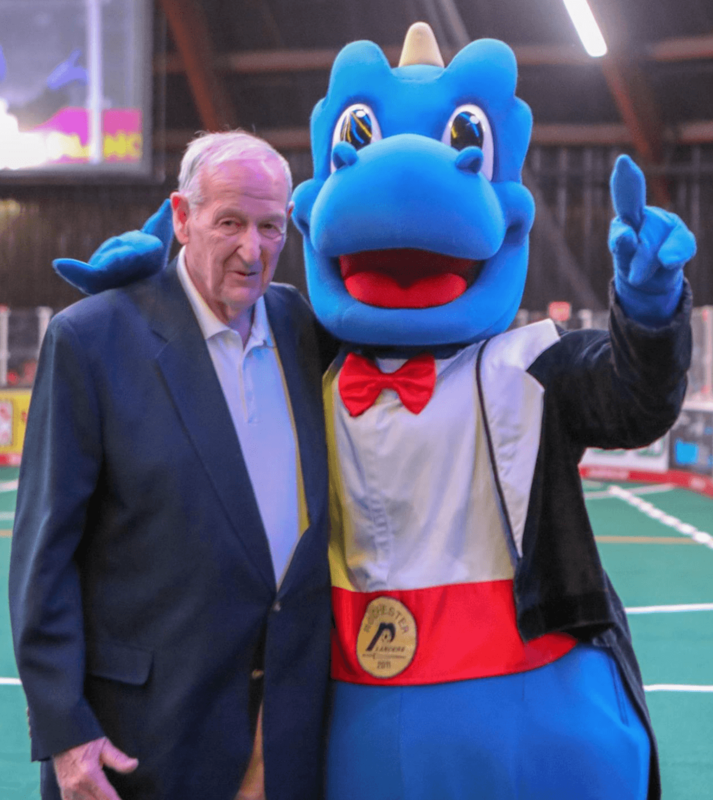 One of my first calls after the announcement was to my good friend Ed Hale, the owner of the Baltimore Blast. I wanted Joey and Jayme Kapinos to come back home to the Lancers. Mid-season, Coach Danny Kelly agreed and the twins joined us. Rhinos and Lancers trainer Dave DiPasqaule returned with trainer Mike Pilato. Former Lancers Legend Kyle Manscuk returned as our team physicians assistant. My son Sal offered to be team acupuncturist, Jose Balseca as team chiropractor. DJ Vella and Dante Cilino returned as team assistants. Most of our game day staff from day one returned including legendary broadcaster Joe Giuliano. Game day producers Jill Rizzo and Lyndsay Houghton came back. Jim, Brett and Victor from SE Video learned production for the indoor game quickly. Kari Miller and the Lancer Dancers returned with mascot Lancer Louie. “The Voice” Rocky Perrotta offered to help work with new announcer Megan Carter of iHeartRadio at her first indoor/arena game. Phil Mercado our long-time music producer worked with our new music producer DJ Key-YO. 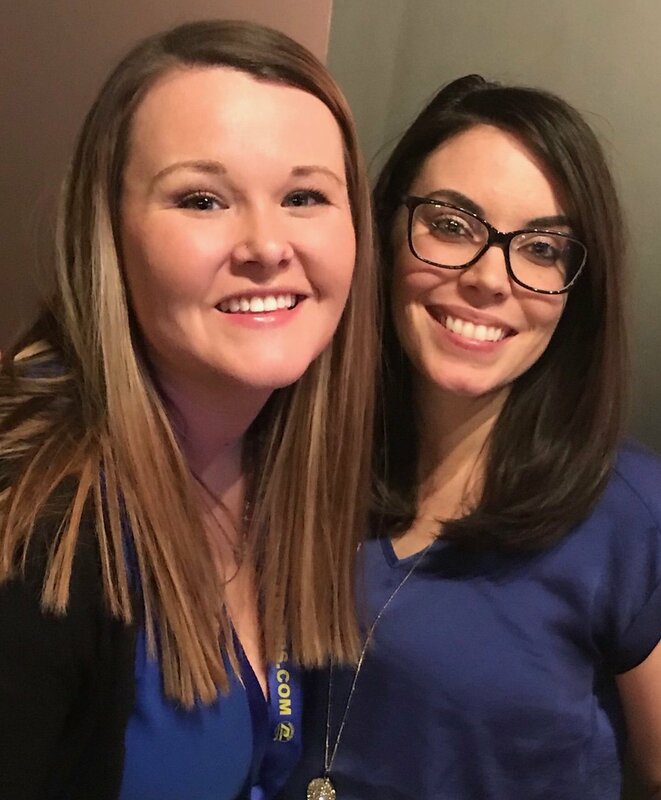 Donna Jo Waasdorp took charge of game day ticketing and new family member Rebecca Dodge of Untamed Events took charge of the post-game party. Our team historian Andrew Battisti returned. Rob Daniels and Scott Cordaro came back as team photographers, and Gary Ronco’s team as off-field officials. 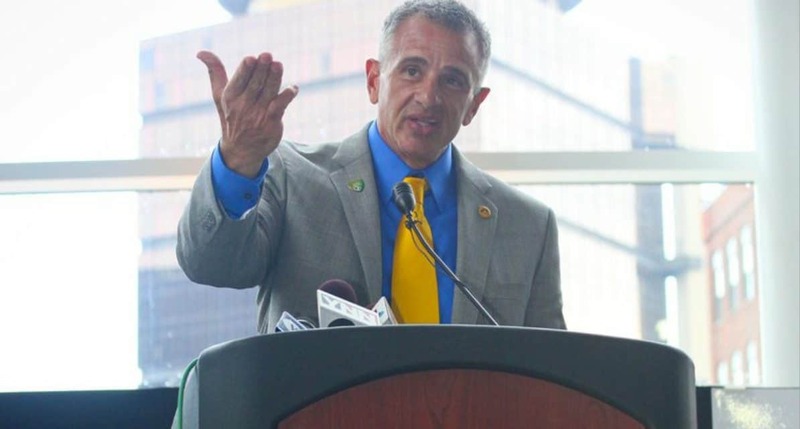 Thank you to Blaise Bourgeois, and my good friend Jeff DiVeronica formerly with the Rochester Democrat & Chronicle, for joining our game day team. 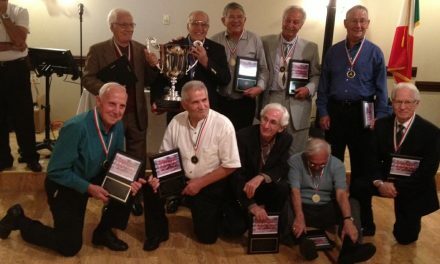 Special thank you to Michael Lewis from frontrowsoccer.com for all the coverage. “The Prince” Marek Solomianko took a break from medical school to help train our new merchandise team with Matt Rapp. Our first game at the Dome Arena was a sellout and electric. Having the Detriot Waza Flo and the Scicluna family as our first opponent was special. We sold out all six home games including our game against good friends Armando Gamboa and Dr. Sev of the Chicago Mustangs. We raised more $10,000 for local charities with our post-game live jersey auctions. My old friend Jeff Calkins took over the Dome. We had some amazing anthem singers and celebrity captains including our County Executive Cheryl Dinolfo, The Voice star Austin Giorgio, Lancer Legends including Charlie Schiano and more! Entering this weekend’s championship Final Four tournament in California is a dream come true for our first year back. This season was so special for all of us involved and our amazing fans. This is a crazy business and so much of it is out of our control and I try to cherish each and every game like it’s my last. We all do this for the love of the game and to create an amazing fun night out for kids and families. Our entire volunteer staff and team appreciates everyone’s support! Whatever happens this weekend is truly a bonus and we couldn’t have done this without our long-time sponsors, fans, players, team and game day staff. Special thank you to my beautiful wife Linda, my amazing “Dream Team” and to “DMS” Doug Miller. Feel The Lancers Kick … for life!